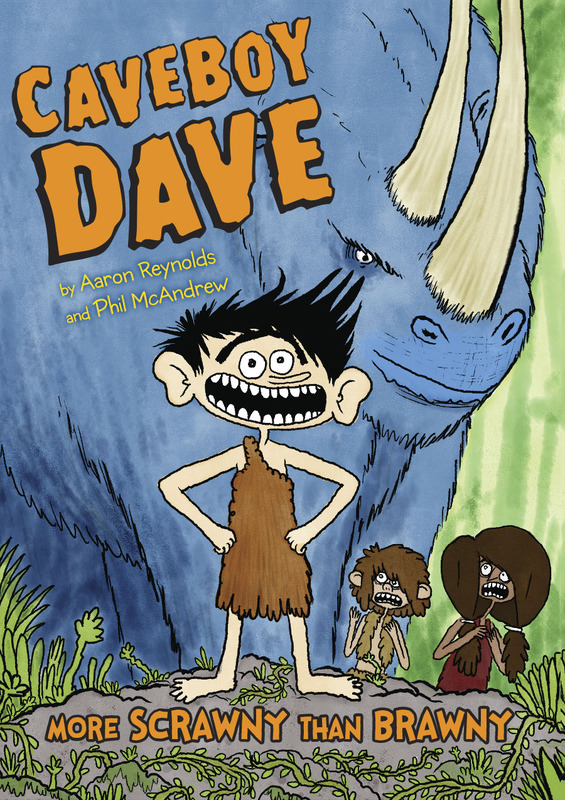 Click the image to feast your eyes on a larger version of the never-before-seen cover for Caveboy Dave. Caveboy Dave is a hilarious new graphic novel series about a primitive kid named Dave Unga-Bunga, struggling through the pains of growing up in a world in which he doesn’t fit in. Imagine a prehistoric version of Wimpy Kid meets Captain Underpants. What’s so tough about Dave’s life? For starters, his grandfather invented fire and his dad invented the wheel — so how is he supposed to live up to that sort of family reputation? You’ll have to read it find out to find out. This entry was posted in Excerpts, Fiction and tagged spotlight on February 23, 2016 by Clay Swartz.